Does your dog have trouble getting up in the morning and seem a bit stiff? Unfortunately, arthritis can be a real pain in the neck….. hip, elbow or back. Pains, stiffness, reluctance to exercise or to perform normal manoeuvres such as jumping into the car are common signs of arthritis. Rarely will your dog show pain by yelping or crying. The cold damp weather of winter often makes these signs worse, but your vet can help. The first step is to have a consultation to help determine if arthritis really is the cause of his woes. There are many medications available that can help ease pain and discomfort as well as some to help with the rebuilding of joints. Food supplements are available and some good quality foods have these built in to them. 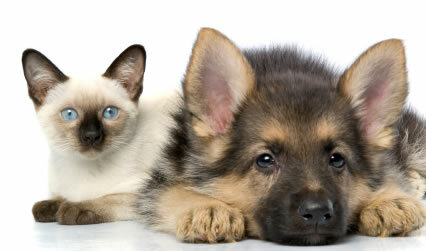 Always remember – NEVER give human medications to your pets, many can be very toxic. Other good ways of minimising your pets discomfort include weight loss, providing a warm draft free area for sleeping and a soft warm bed up off the ground. Not too high though, pets with arthritis often have problems jumping up. Dog coats are also a great idea and your pet doesn’t have to have arthritis to benefit. Most dogs love snuggling up with a nice warm coat and they really do help beat those winter chills. Coats come in as many fashionable styles and colours as you can imagine and range in size from XXS for the tiniest Chihuahua to XXL for the biggest wolfhound. Don’t forget your other pets this winter. Cats can develop arthritis too and shelter and a warm dry bed is just as important for your birds and pocket pets as it is for your dog and cat. For more information or to order Winter warmies for your pet, don’t hesitate to contact our friendly staff on 3202 7300.